If I could put a photo on this, in any way, I most certainly would. It's another one of those "only God" stories. In December, 1995, Dave and I were worried, trying to figure out how we could return to the States as necessary in April, 1996. We were nearly out of money other than the basic living costs. Our credit cards were maxed out, savings gone. We had a few people who had been donating for our ministry needs, but we had become overwhelmed by the expenses. We weren't being extravagant, but between those basic needs and taking care of folks God had dropped in our path, we were hitting the wall. One main plan was to sell our household items, including a generator, computer, VCR, TV, and Dave's music equipment and piles of music tapes. We needed about $2,000, which would provide just enough to fly home. In early December, we were meeting one of our main friends, Fr. Albert, for dinner in Kampala. I was in town before Dave and Fr. A. arrived and was in the Sheraton Hotel hanging out and waiting for them. A Ugandan was playing Christmas carols on an old piano in the very hot, sunny registration/reception center -- definitely didn't feel like our normal Christmas. A man was sitting on a couch, and, less than bright on my side, I assumed that, because he had my skin color he spoke my usual English. So, being me, my yammery personality, I made a comment about the heat and songs. Well, I was WRONG! He was Italian, could speak French, and indicated with that "so-so" hand motion, he could do some English. I said I could speak French. However, after we tried to communicate, he said my French wasn't good enough, so we'd have to try to make it in his English. Worked OK. We did talk for about half an hour. He said he was a cotton import/exporter and had been purchasing cotton from around Jinja, 60 miles away. He was waiting for a taxi to take him to the airport, and it was running late. In that next stretch, he asked what Dave and I did, and when I talked about being at the orphanage, he was very touched. 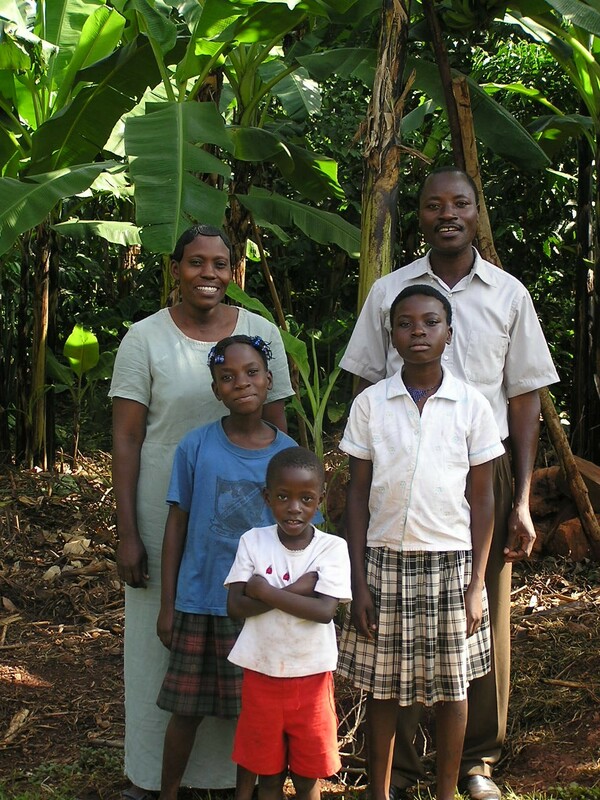 He said he didn't believe in God and he was mad at church, but his wife would truly want to see that location when they came back to Uganda the following month. In early January, I went to the hotel and met Paolo in the lounge and he told me his wife hadn't come because she'd had a ski accident in the Alps [they lived in Milan], and that he wouldn't take the time to go to the orphanage. BUT, then he handed me an envelope, and said, "This is for you. It is a small amount... oh, just a small amount... only a thousand dollars." When I left, walking across the hotel garden towards the street, I opened the envelope. I was absolutely stunned. There were 10... brand new... $100 bills. Walking through downtown Kampala, the money buried in my backpack, I carried it across my chest instead of on my back, with my arms crossed over it. No one could slice the straps and sneak it away from me, a common theft manner. Uh, UH!! That $1000, plus what we sold, provided exactly what we needed to get back home. If the Lord had not dropped Paolo into our lives, I have no idea what else would have occurred to give us enough money to get back to Omaha. 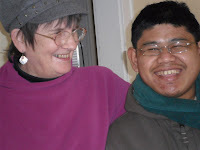 I have hoped that, through Paolo blessing us so amazingly, God dropped strongly into HIS life. I truly hope to see him in heaven. For some strange reason, when my spiritual brother Gary at Long Island, NY, FB'd re: the earthquake on the east coast, I suddenly realized that even with several earthquakes I've been involved in on the 3 West coast states, 1948 to 1974 -- I "saw" the one that blew my mind. I was 19 years old, living and working in Seattle. It was almost exactly 8:30 AM. During the spreading of the earthquake tremors, rumbles, and roars, I was on a cable car on my way to work downtown, and a few blocks from the office building. I was reading a book, Tom Jones, and not looking around at all. Then the bouncing of the cable car got my attention, and annoyed, I thought, LOUDLY, as I began to look up, "What is that driver doing??" Then I saw that he had stopped driving, was in big-eyed panic, and as I looked around I could see the street bouncing, business windows waving and weaving, people running down the middle of the street, and skyscrapers swaying back and forth, crisscrossing each other. The final result, besides piles of damage, three people were killed by falling debris; others died from heart attacks. It was one scary stretch of time, believe me. The only funny bit? My friend/coworker Connie was being dropped off by her boyfriend in front of the building, and he was giving her a kiss goodbye, exactly when the earthquake hit. He said, "WOW, that was one exciting kiss. " Later, my boss let me call my parents in Tacoma -- I knew Mom was terrified of earthquakes, and I was afraid she'd have jumped out of the upstairs bedroom window from a fear reaction. My Dad said he and Mom had done OK. Then he told me that my 6-year old sister, Kristan, who was sitting cross-legged on the living room floor while watching cartoons when it hit, froze in her position and started screaming. When Dad got to her to get her out of the house, and picked her up, her back against his chest, she remained in a stiff, sitting, cross-legged, screaming body as he carried her out. Lived through a few smallish ones in California from 1969 to 1974 in the Bay Area. Got "rattled", pictures bouncing, dishes sliding, etc., but nothing, NOTHING anywhere similar to that one in 1965. Maybe because I have a brain that operates on full-speed most of the time, the Lord drops an occasional dream into my sleep-time, because He needs to get a point across or give me an instruction. Doesn't happen often with straight-forward results. Just sometimes. This one hit about 30 years ago. You ought to get a good chuckle out of it. In my dream, my teeth were being broken out and my jaw pulled. [I really -- REALLY -- don't like to have my mouth messed with, so this was very intense and unnerving.] I woke up, big eyed, and glad I was awake, and after breathing heavily for a few seconds, I settled down. WELL, a few days later I had the same dream with my jaw-bone being broken and yanked out... And then again a few days later. When I woke up I was hollering, "WHAT is going ON???" And, surprisingly, the Lord spoke very clearly to my heart: "Getting you to change is like pulling teeth." Well, I decided I better check in with Him and find out what I wasn't doing that He wanted me to. After that, any time I started to have that dream, I would immediately say, "OK, Lord, what am I supposed to do?" I haven't had one of those dreams for a very long time. Hope it means He can get to me more easily. In a while I will share about the other main dream. Through it, the Lord sent me to Uganda in 2003 for 3 months, after the Soroti area had been invaded by the Kony rebels and He wanted me there for very specific reasons. If He hadn't done it, I wouldn't have gone there, I'm quite certain sure. Soroti was pretty close to the bottom of my "willing to go" list, as much as I love Uganda. And to leave my husband for months? Risk my life by entering a war zone? But it was the right thing to do. My sister, Kristan, Fred's wife, just called a few minutes ago. She gave me the news re: Fred's trial and the potential for the sentence. Most of you recall that, on July 28th last year, Fred' truck struck a 14-year old girl who was beginning to cross a highway in Fairbanks, AK, with her bike. Her death was instant and a heartbreaking experience for many, many people. So much has taken place between the legal and justice groups that it has taken much longer for the verdict and sentencing than was anticipated. And, besides the girl, Kirsten, who died, another girl, connected to the family, just moving into the street, was also injured, although not severely. Basically, this is the final result. He has been sentenced to 2-1/2 years -- 2 years for Kirsten and 1/2 year for the other girl. He will not be going to jail or prison, but will be spending time in a half-way house for several months and/or will have an ankle "bracelet" for home, or a bit of a mix. He will be w/o a driver's license for the 2-1/2 years, except for driving to and from work and church. He will also be on parole for 10 years. The final decisions, breaking all these details down and putting them in total accuracy, will occur September 10th. Kristan said that the sad part was that although about 70 people showed up in court to support and encourage Fred, the girl's parents, her brother [who witnessed this accident], and another couple of relatives were the only 5 people that came for their side. Kristan said she nearly cried for their sake, because of their "aloneness" at such a hard event. One other aspect is that, even though the parents were struggling in their marriage before their daughter was killed, and had been going to counseling and seeing if things could be worked out, they have now divorced. Kristan also said that the dad is on anxiety meds, has lost a great deal of weight, lost his hair and, overall, is just looking sad. One thing Kristan told me showed such wisdom. Before the trial, she said to her sons and others that they must not show any concern about any long sentence he might be given. She told them that even if it was some years, and prison, it would be less time than what the girl's family was going through, having lost her forever. I appreciate what some of you have indicated to me since this began, and I wanted to be sure this info was out to you before I was side-tracked by anything else. Unless something unusual hits this finally, I won't be in contact about it. You get the main drift and that's the important part. What a day! 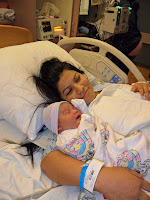 I took Mandira and Pemba to the hospital at 4 AM yesterday. 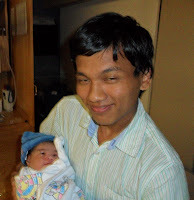 I had slept a bit for the 3 hours before they started calling me at 2 AM to contact the hospital for them and find out what to do, since Mandira was having contractions. So, I was the inbetweener until the delivery nurse said to come in. Well, the whole day was filled with the combination of lots and lots and next to nothing. I came home at 2 in the afternoon to take a shower and pick up Pemba's sister. I'd been told the baby would arrive between 8 and 9. For the first time in my life I was involved in the final few minutes before the baby came out. Mandira was gripping my hand and I was also rubbing her forehead. Then I was assigned by the doctor to count to 10 for her during the "pushing" time. Every time he nodded I did it again. So, I think I counted to 10 at least 10 times. Glad I knew how!! And then I saw the baby's head come out. WOW!! And "baby girl" officially became Prasansa ... the Nepali word for "praise". Details: 12:33 AM; 7 lks 9 oz. ; 19 inches. Comment: considering that Mandira was very small -- starting the pregnancy at 93 lbs, 5 feet and with a very short and thin husband -- it was not at all anticipated that Prasamsa would be this large, which may have well added to the pain level! I came home a little past 1 AM, got to bed at 2, and slept most of the time until nearly 11. Was exhausted, which should be very understandable. Couldn't NOT send this around and about. They and others have so changed my life this past year. God has been so gracious to me. Actually, the excitement isn't only about them. It's watching their other family members we've been "living with" for over a year to jump for joy. It all began last night. I took two of the present family members to the airport to welcome the 3 who were coming, a young couple with a young son. When I reached the airport, just shy of 10 PM, I joined with a pile of the others who were waiting. Had so much fun just waiting. 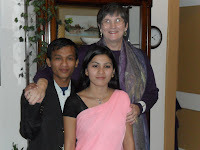 After the arrival, I took Mandira and Tshering back to the apartment. Perfectly content with the evening's activities. So enjoyed my time with my many dear ones. Well, today it was a blast. About 2:00 I decided to go to Mandira's apt and see the family now that they had slept. The baby/toddler wasn't a happy boy last night. So, I had visited the Mom, who speaks a bit of English, and enjoyed the little one and my others. A few minutes later, his brother, Sai and his wife, Wang, came and brought more relatives. And the Nepali yammering went on and on, and, of course, I didn't understand a word. I was getting ready to leave and all except the new ones knew when my surgery had taken place 3 weeks ago. They've all come to my house to check on me before. Well, they wanted to see my belly. So, here I am in the middle of a large living room with a large family sitting there, asked to show my stomach so they could see the incisions. I just shrugged my shoulders a bit, then I did what they wanted and lifted my shirt and showed them my gut. They were pretty amazed to see how things have improved, and they rejoiced. [The healing has really increased recently!] I never would have thought that this would be such a great impression on them. If I could, without offending someone, I would take a photo of the orange police cone on the entry sidewalk in front of the apartment building where a man was killed last night. His family has now placed flowers, candles, and balloons a few feet from that spot. The cone almost means more to me than all those pretty items. We so often hear that someone died, or that someone was killed. We rarely see where their life left our world. That orange cone marks the spot. Last evening a birthday party was being held outside the apartment. The party was for the son of one of my F.R. friends. Barb, just a few years ago, was a gang leader here in town and amazingly brought to, and blessed by, the Lord, freed from her addictions and her several children miraculously returned to her by the social services department, a gift no one would ever have thought would come to pass because of her record and the long-time illegal actions. Last evening, a man stopped by the bbq at her son's party to visit a friend he'd seen as he was passing the apartment building. Nearly immediately a car swung past, started shooting, up to a dozen shots, and he was killed. Steve was 54. So Barb's friend, Steve, was murdered and her son, Chris, was taken to the police station, questioned, and later released. Can most of us even imagine this? Of course not! But when we met for prayer there this evening we were overwhelmed by Steve's family and friends. We had a blessed opportunity to pray for all of them and hold them and encourage them. I had my hands laid on the back of a young man, in his early 20s, and when the prayer time was past he thanked me. I now have that young man, Tray, in my heart. Steve was the 18th murder victim this year, the vast number of them being shot by gang members, some related to the gangs themselves and sometimes, such as this event, just being in the wrong place at the wrong time. This is the first F.R. time I've attended since my surgery, and my energy level still ain't very high, but I couldn't not go. Why? I wanted to hug Barb and just let her know she is loved. It was worth it, believe me!! @@@ of bull, lamb, dove, or goat. * A Messianic Christian friend once said that when a Jewish father heard of the death of a son, he tore his garment from top to bottom in grief; he had been taught that the temple veil was torn top to bottom to express God’s grief at the loss of His Son. I am aware of different understandings/ interpretations; however, a multifaceted God can most certainly have multifaceted meanings to these critical events. Had constant trouble with my poetic marginal issues. AAKK!! Oh, well. Josephine and I are in S Sudan and will be home this weekend. We have been running a training program for 3 months with short breaks to go home and spend time with the girls. We will be in a better position to communicate from next week- net bad here. My comment. It ain't one easy trip back and forth. I have no idea where they are in Southern Sudan, but, at the very least, it's 300 miles which is not easy to reach and rarely is the transportation anything most of us would ever want to ride in. To leave their upper-teen girls home alone for most of this time is also another challenge. I'm sure someone is stepping in to help. Very recently Josephine's father died, so that added to more of the family stress.